Don't let the title, Rhapsody in Blue, fool you. Pianist Bill O'Connell isn't doing an album-length tribute to Gershwin. The title song is just one of three covers in this ten-track set; he rest are O'Connell originals. "Monk's Cha-Cha" features alto saxophonist Steve Slagle. Dave Samuels follows O'Connell with a solo. 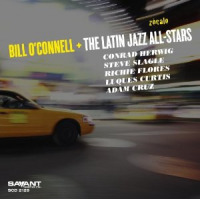 Bassist Luques Curtis, drummer Steve Berrios and conguero Richie Flores carry the mood of this piece. After the middle solos, Slagle again takes point, while Flores mixes congas and timbales during the closing sequence. After O'Connell and Flores provide a false sense of calmness, the title track shifts into high gear, with Slagle again leading on alto. 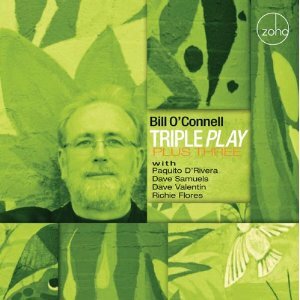 The work of Flores, bassist David Finck and Steve Berrios gives this arrangement a strong salsa flavor. O'Connell gives just enough of the familiar phrases to make clear that this is a Gershwin piece, but the performance is fresh. Trombonist Conrad Herwig joins the ensemble for "J-Man." Dedicated to O'Connell's son, Jesse, this piece has a harder edge than most, and Herwig's throaty playing enhances that mood. Berrios stretches out plenty behind the solo, punching in some emphatic cymbal crashes for effect. Trombone and alto sax blend on the melody. 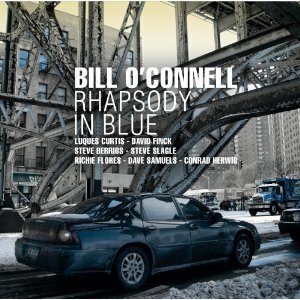 Rhapsody in Blue is O'Connell's project, but each musician is a major contributor. Regardless of who is playing lead or solo, there's never a moment when the sidemen can be overlooked. With Slagle on alto or soprano, each song has the feel of a little-big bandmore so than a small ensemble led by an instrumentalist. With approximately 70 minutes of music, there is plenty of space for all the musicians. 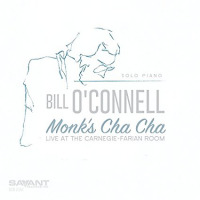 Track Listing: Monk's Cha-Cha; Pocket Change; Rhapsody In Blue; It Never Entered My Mind; J-Man; Off-Center; Two Worlds; Log-A-Rhythm; Rose Hill; Bye Bye Blackbird. 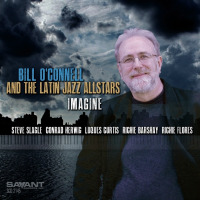 Personnel: Bill O'Connell: piano; Luques Curtis: bass (1, 6-8, 10); David Finck: bass (2-5); Steve Berrios: drums; Steve Slagle: alto saxophone (1-3, 5, 6, 8, 9), soprano saxophone (4, 7); Richie Flores: percussion (1, 3); Dave Samuels: vibraphone (1, 3); Conrad Herwig: trombone (5).